Our server is about 2 months old and we have a small group of active players on the server now. As is natural for servers, some players have moved on for one reason or another. We are looking to add a few more quality players to round out the whitelist and increase activity on the server. Youtube: We do have a few active youtubers on our server trying to grow their channels. We welcome other youtubers as well. We have created a datapack that will allow for camera accounts, permission will only be granted to use this ability after some time on the server for us to get to know you. We have also added a way for youtubers to notify other players when they are recording. We aim for a low stress community atmosphere, where we can relax and have fun together! We respect each other and our differences. We act and communicate responsibly and take responsibility for our actions in game. We want you to help us make a tight knit community of fun-loving Minecrafters. 👉 Players must demonstrate maturity. 👉 PvP allowed, if both parties agree. 👉 Pranks allowed, but grief and outright stealing is not. 👉 No cheating, of course. We all want to be able to have fun without the worry of some jerk ruining the game for everyone. Administrators are active on the server and diligent about the quality of the server and it's players. We have a strict zero tolerance policy, players doing any of these things will be removed from our community permanently. We don't want our members feeling cheated or abused, so we aren't going to lower the bar just to keep a person around. Recognizing a fine line however is important. I am specifically talking about pranks and jokes. We have many on this server now who like to welcome new players with some practical jokes - the end state of course being that you conducted yourself admirably through it all and you end up rewarded. Have you ever been banned from a server? How much do you expect to play per week? What do you hope to accomplish on the server? Is there anything unique about yourself that would set you apart from other applicants? Thank you for considering our server! I usually dont join servers that are 1 month old or older but your server sounds interesting and it seems that u have put a lot of effort to write this post (usually server posts are not so good looking) . I hope you get more players. I would like to join ofc. How much do you expect to play per week? Usually every day . Are you an active Youtuber? (if yes, please share your channel with us) . I was youtubing, but not anymore. I was thinking about opening a channel again. 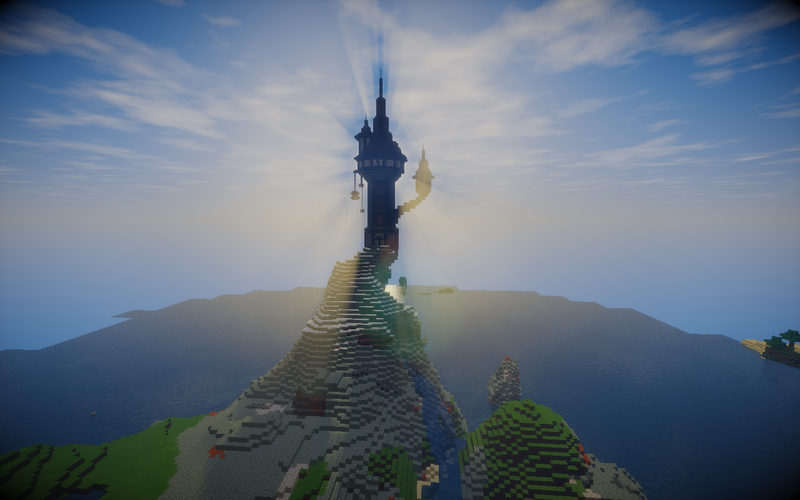 What do you hope to accomplish on the server? I just wanted a chill place to relax and play my favorite game. Typicaly i am not a person who causes troubles, i just want to play and chill. Is there anything unique about yourself that would set you apart from other applicants? I am not sure, if i have something special. Other gamers have told me several times that i have a talent making cosy and beatiful places and i am also very good at themed buildings. Furthemore my redstone skills are decent and i can help with community activities. Wonderful server of people. This is really the closest thing to hermitcraft-style server I've ever found. The admins are really friendly and all the players are like a family. It's very active and fun! How much do you expect to play per week? : I work, so on my off days which are 2-3 days out of the week. I also have to maintain rank on Overwatch so when I'm not doing that. What do you hope to accomplish on the server? : I want to have fun, build cool things, help other build cool things, and enjoy the sandbox that is Minecraft. Is there anything unique about yourself that would set you apart from other applicants? : I have a talent for automated farms of all types. 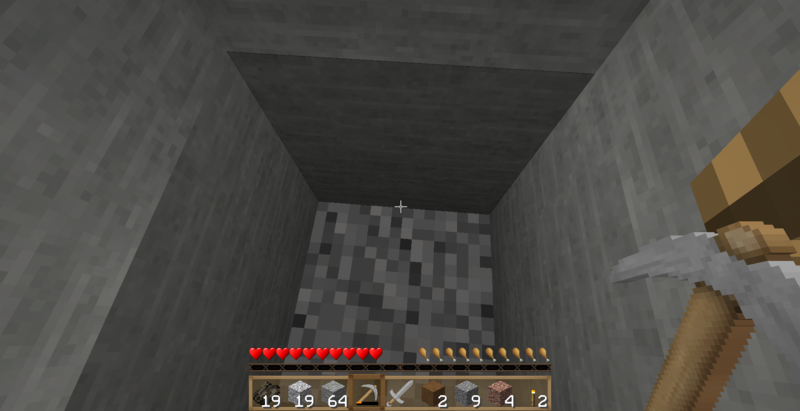 With and without Redstone. -Thank you for considering me. How long have you been playing? I've been playing for maybe.. 8 years, at least. 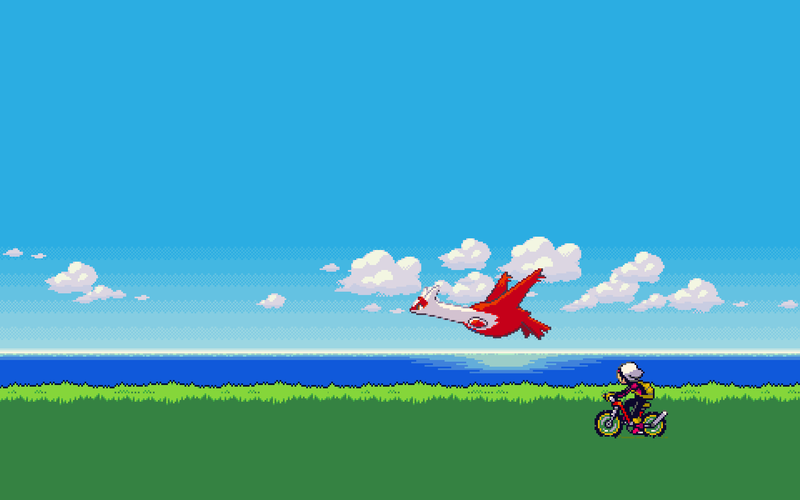 I think I got the game when I was like 13 lol. Have you ever been banned from a server? No, I have not. How much do you expect to play per week? I don't know if I could put a direct number on it, but I should play at least daily. I'm interested in putting in a lot of hours to create some really cool things. Are you an active Youtuber? (if yes, please share your channel with us) No, I'm not. What do you hope to accomplish on the server? I want to build a lot of things. 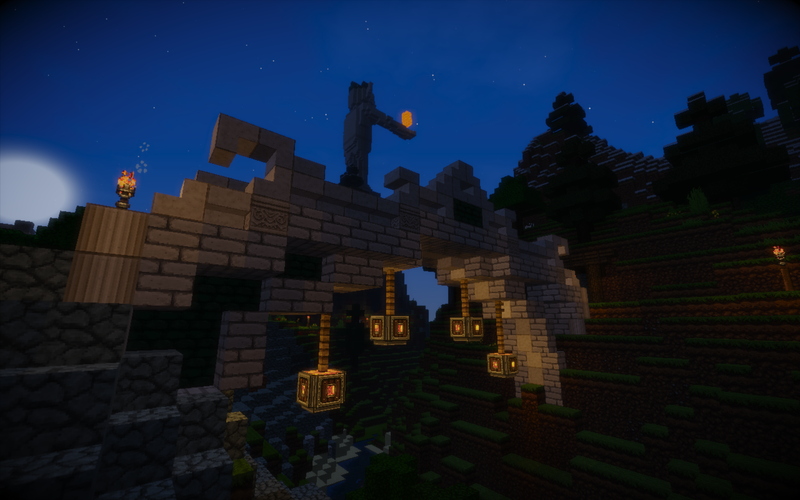 I miss playing SMP, I had a dedicated server I was a part of a few years ago, but that fell apart over time. I want to collaborate with other players on different builds and projects, something I can't do playing singleplayer. I lost interest in playing by myself. I want to be able to admire and take inspiration from other people and their builds, and I want to be able to share mine too. Is there anything unique about yourself that would set you apart from other applicants? I'd just say I'm very friendly and I like to help. If anyone needs anything I'd be right there to give them a hand. Thank you for considering our server! And thank you! Faylen_Sol and Angelinain, you have been added. Check your messages for details. Is there anything unique about yourself that would set you apart from other applicants? I am a very fun person and I would say I am very unique and creative that I don't think a lot of people can match! How long have you been playing? Not really sure, probably about five years? Have you ever been banned from a server? No. How much do you expect to play per week? I play for at least an hour every day, and usually three to four hours on my days off. What do you hope to accomplish on the server? I just really enjoy playing on active, community-minded servers. I've been playing on one called CatCraft for a few months, and I really love it, but the server has been experiencing a lot of lag, and sometimes the server is down for a day or more. Due to this, a lot of the regulars have left, and I miss working on builds with people. My goals would be to work on a HUGE community project, and one day completely redesign and landscape a whole biome. Is there anything unique about yourself that would set you apart from other applicants? I love to build on a grand scale, and I'm pretty handy with the Redstone. I also love helping people out with things, and will put my own projects on hold if anyone needs help with theirs, or just wants to have a mine and chat sesh. How much do you expect to play per week? Perhaps once or twice a week? I'm a book writer and I work full time, but I'm a friend of Faylen's who introduced me to the game; I usually play when he can play. Are you an active Youtuber? No, but I do have a very nice microphone. I was hoping to do Let's Plays eventually, just trying to fit it into my schedule. I'll give a link later if I start uploading some things. Is there anything unique about yourself that would set you apart from other applicants? I really like building and designing around a theme. 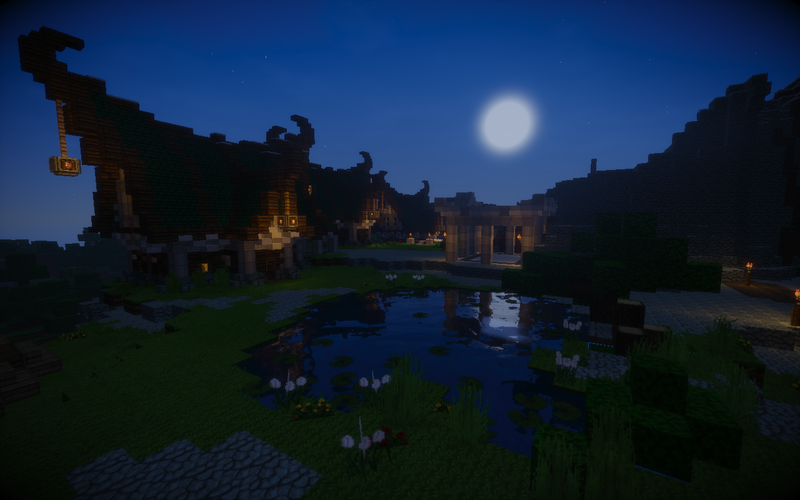 I was in the process of building a vampire manor and elven tree home on the other server I was on with Fay. I like being creative and working with goals in mind and set parameters, but I am fully capable of thinking outside the box as well. I've been on this server now for a couple weeks, maybe three. I spent a long time searching for a good server but I was always met with bad attitudes or laggy servers. Every person on this server is super friendly, loves to have fun, and helpful. 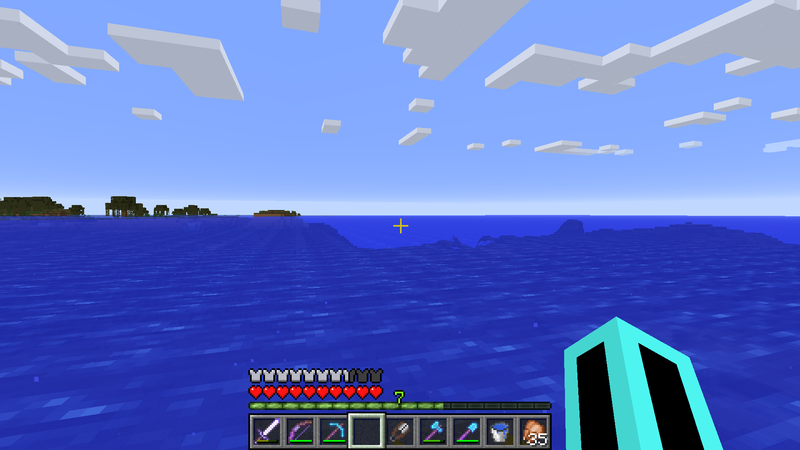 I have experienced almost no server lag (And I have quite the number of auto-matic farms, Etho-Hopper clocks, etc.). The economy is thriving (Seriously, I've yet to have to smelt my own Glass, make my own Piston, or even go to the End to get Shulker Boxes). I could not recommend VectorPunch more. Welcome to all the new people! So nice to see new and friendly faces on the server over the holidays! Have you ever been banned from a server? : Not within the last two years. Are you an active Youtuber? (if yes, please share your channel with us): I used to be however I stopped uploading. What do you hope to accomplish on the server? : I hope to find a lot of new friends and have fun. I am a developer so I could help with the actual server if there are ever any issues within the actual server, I'm your guy. Have you ever been banned from a server? : nope! How much do you expect to play per week? : I also work, so probably 2-4 times a week depending on my schedule. What do you hope to accomplish on the server? : I love building and wouldn't mind makin' some new friends, and hanging out with some old ones (I've known Faylen and Alex for quite a while.) Basically hoping to have a good time and relax! Is there anything unique about yourself that would set you apart from other applicants? : I love making strange but fully decorated houses, buildings and locations. I like to think I have a great easy going personality and enjoy helping others with their projects if they need a hand! How long have you been playing? Since early 2012. Almost 7 years. How much do you expect to play per week? Nearly every day, at least 10-20 hours a week. Are you an active Youtuber? I'm not an active YouTuber, but I do stream on twitch sometimes? Hey! The server I've been playing on has recently been shut down so I've been looking for something similar and this one seems to fit! Are you an active Youtuber? I'd like to form connections with likeminded gamers who share my passion for quality builds, as well as creating something I can be proud of that others will be able to appreciate. How long have you been playing? Close to 10 years now. Have you ever been banned from a server? Never. How much do you expect to play per week? Around 3-4 days a week, usually more. Are you an active Youtuber? (if yes, please share your channel with us) I am not. What do you hope to accomplish on the server? I have many projects in mind that I want to share and collaborate with others on. 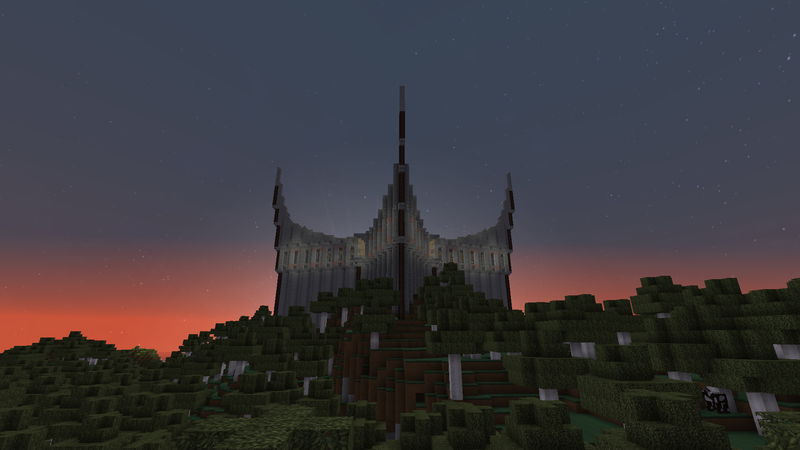 The SMP's I have joined recently have all fell apart quickly and I am looking for a place that I can build my projects on a long term server. Your server seems to fit my requirements perfectly! I look forward to meeting new people and taking part in your great world! Is there anything unique about yourself that would set you apart from other applicants? Aside from being a great builder, I take a lot of pride in how I conduct myself. I love to have fun with other players and engage with them. When I don't feel like it, I can work alone as well. I can offer great content with a great personality and easy-going temperament. Look forward to hearing back from you soon! Thanks for considering me! Build an epic base and make new friends. Sorry, you don't meet the age requirement.